During the rainy season, your car’s interior is likely to be stained by soil and mud especially on the carpeting. While mud and soil may stain your car’s carpet, these stains are usually not permanent. They can easily be removed by simple ingredients such as water and dish detergent. It is important to remove the mud and heavy soil as soon as possible because letting them stay for longer may affect the quality of your car’s interior. The following tips will help you to remove heavy soil from your car. Allowing the soil to dry completely makes some of the mud and soil to flake off easily without the need to treat it with detergents. It is advisable to avoid any contact with the soil or mud as that may cause the soil stains to be rubbed in deeper into the carpet making them harder to remove. You can scrap the dried mud off the carpet using an old credit card or by simply vacuuming them. Scrap until there is no soil flaking off the carpet while you deposit the soil flakes into a waste bucket. Using different nozzles attached to your vacuum, vacuum the carpet repeatedly to loosen any embedded soil. The different nozzles help get the best result in removing any embedded soil. Mix about 240ml of water with 5ml of dish washing detergent. The water may be cold or warm but should not be hot. Hot water sets the soil stains deeper and may make it difficult to remove from your car’s carpet. Use a large cup or small bucket to take the mixture to your car. Using blotting motions, apply the mixture to the soil stains on the carpet. Do not wipe the mixture into the carpet as this may cause the soil stains to rub deeper into the carpet. Use a rag or clean sponge to plot and pull at the stain which will make the soil to be easily removed from the carpet fibers. Rinse the soiled area carefully using a clean sponge. This should be done in a way to avoid rubbing in any remaining soil. Examine the carpet to see if your cleaning job was thorough or if there are any remaining soil stains. You can use a flashlight if it is during the night or wait until daybreak when there is sufficient light to examine the results. If there are soil stains still on your car’s carpet after the first cleaning job, you can repeat the washing and rinsing until all the soil stains are eliminated from your car’s carpet. You can get this type of cleaner in a professional car wash or from an auto parts store. You should follow the instructions on the cleaning agent as they are powerful and cause your carpet’s color to fade if not used correctly. If you are unsure how to use it, it is best to use the services of a professional car wash to get the job done for you. 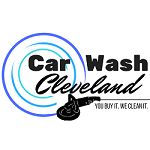 If you need such kind of service in the Cleveland area, our car wash professionals here at CarWash Cleveland will be glad to help you remove the heavy soil and stubborn mud stains from your car’s interior.